I'm starting my trip. Follow along at my MapShare site! Made it to c3. We can see the summit pyramid! Brendan and I feel great. I'm starting my trip. Follow along at my MapShare site! off to c3! Made it to c2 on half a liter per minute. Im pretty beat. More later. . . . I'm starting my trip. Follow along at my MapShare site! off to the north col! Many people headed toward camp 3 right now. We can see probably as many as 40 in a row between c2 and c3. Glad we are going later. The icefall is on the south side (Nepal) but I suspect they store them in Gorak Shep – a 45 min stroll from EBC. Ahem....on May 19th we summit. That will be during the evening of the 18th for those in the US. Sorry for the confusion. Ropes fixed to the summit! Expect our summit to be between 7pm and 10pm EDT. Will send tracking along the way up and on the summit. Woohoo! Phil and Aunt Theresa, thanks for following and posting. The support means so much and gives me and my teammates the extra boost when things look grim. Please send questions. I might be a little busy climbing over the next few days but I will answer your questions when I have a chance. Thanks everyone. Thanks Oakwood class. Coming to you live from Everest Advanced Basecamp on the Tibet side. Thanks for the support. Made it to IBC. Just enjoyed 2 bowls of noodle soup. Feeling awesome! We head to IBC on the 13th, up to ABC on the 14th, then 2 days rest at ABC. On the 16th, we'll climb up to the North Col and spend the night on 1/2 a liter of oxygen per minute. 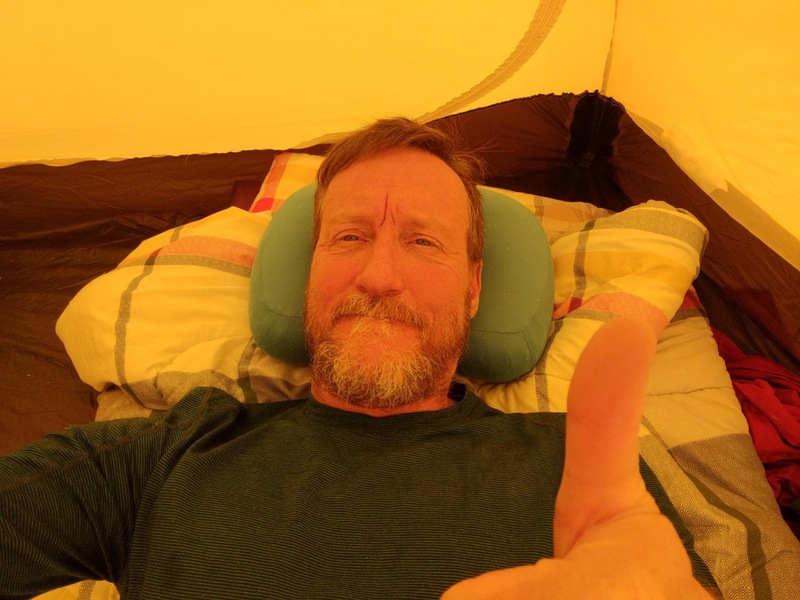 The next day (May 17th), we climb to C2 and spend the night on oxygen - perhaps at the same flow rate. On the 18th, we climb from C2 to C3 and try to sleep for a few hours before taking off for the summit sometime in the late evening (11pm or so). As I mentioned, our plan is to summit on the morning of the 19th. We should have a little time on the summit before we turn around and go as far as we can down - hopefully as far as ABC to enjoy a celebratory beer. I aim to track each climbing leg so everyone can follow our progress. These are just plans but they give you a rough sketch of what is in store for us in the upcoming days. As Mike Tyson once said "everyone has a plan until they get punched in the face." Let's hope mother nature has no plans to fight us. 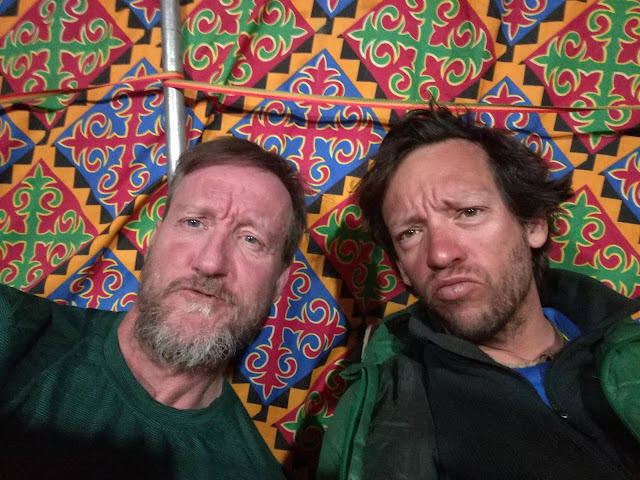 After a restful 3 days, we are back at Chinese Basecamp awaiting a summit window. The weather is great. We all feel fantastic after the rest at lower altitude and are chomping at the bit to get going. Patience is the key now. Thanks for following. Made it to CBC! Rockin out the entire way. New plan. Heading down to ABC. Too windy up higher. Rotation 2 will be done when we reach CBC. More later. . . . Fantastic day of climbing up to the North Col. Weather was warm and sunny throughout the day. Now we are huddled in our tent as 20 knot winds lash the sides. Local time for the North Col. Will start the inreach tracking right away. Thanks for following along. Bedtime now at almost 10pm. The fun starts again soon! Chilling out today at ABC. Getting ready for rotation 2 up to the North Col but this time an overnight. The next morning we head up the snow slope toward c2. Made to ABC and pretty beat! More later. . . .